From the moment you pass beneath the flashing lights of the marquee at Ameristar Casino Hotel Kansas City and enter the dramatically beautiful, refurbished lobby of our 184-room hotel, it’s clear that you’ve arrived somewhere special. Each of the 184 rooms features 1 king or 2 queen size beds, 46″ LED screen television, free wireless internet access, refrigerator and coffee maker. The excitement of our casino may be only steps away, but the atmosphere in our hotel lobby and rooms remains luxuriously calm. At Ameristar Casino Hotel Kansas City, when we say “More Fun”, we mean it literally: With over 2,200 slot and video poker machines, 66 table games, 15 poker tables It’s one of the biggest casinos in the country. With 2,200 slots and video poker machines, Ameristar has more games than any other casino in the Kansas City area. From traditional reels to video slots, you’ll find more gaming choices in a wide range of denominations, from penny slots all the way up to $25 machines, in our High Limit slot area. Also have the largest selection of single and multi-hand video poker games around. Enjoy Blackjack, Craps, Roulette, Let It Ride, Mini-Bac and Pai Gow Poker, to name a few, as well as the latest specialty games. 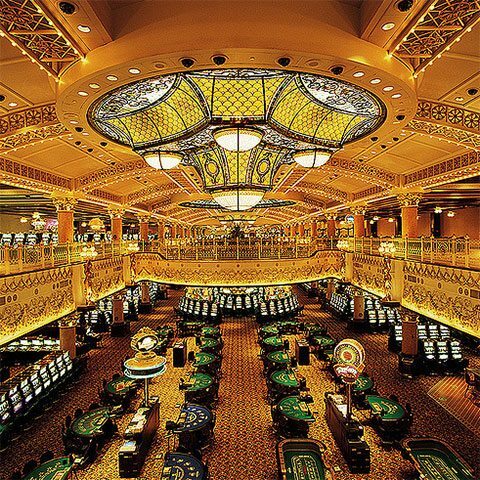 If you’re looking for high stakes action, check out High Limit table games area. Dealers are ready to count you in. Just pull up a chair and let the games begin! You can now bet up to $5,000 on select Blackjack, Craps, Roulette, Baccarat and Pai Gow Poker games.